Research has shown growing up in poverty can have harmful effects on a child’s brain development, but a new study says a positive parenting style can decrease or sometimes even completely erase those effects. 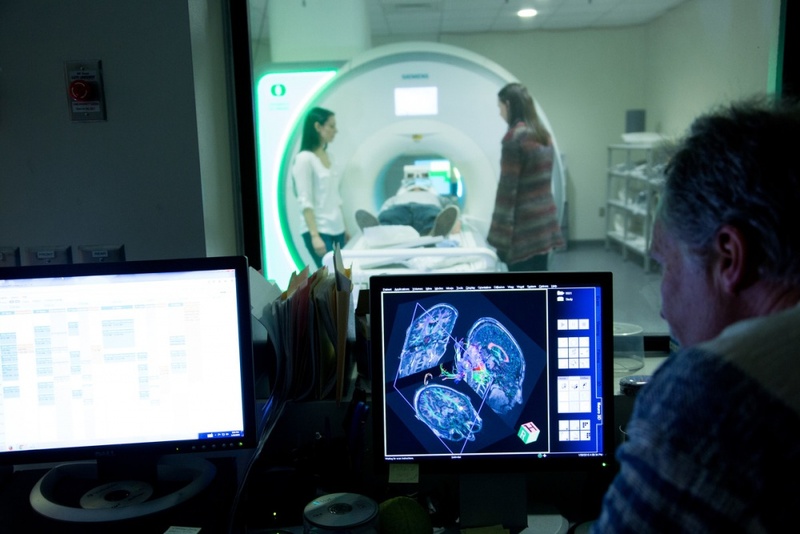 A team of researchers, including UO psychology professor Nick Allen, used magnetic resonance imaging to study 166 adolescents between the ages of 11 and 20 who were growing up in some of Melbourne, Australia’s most disadvantaged environments. Most common in the children with different brain development were negative changes in the temporal lobe, which regulates stress, memory and language. But positive parenting behaviors, such as responding to problems with kindness and humor rather than anger, can greatly decrease the likelihood of such changes occurring. For more, see “Positive parenting may offset brain effects of poverty” on Reuters, or read similar stories on the Daily Mail and Business Insider. Allen is the director of the Adolescent Development and Psychopathy Team at the UO, which is a network of researchers investigating the environmental, interpersonal and biological processes that influence emotional reactivity and emotional regulation throughout a person’s life, with a focus on childhood and adolescent development. His current focus is on how parenting behaviors and family interactions can increase or decrease risk for mental health problems.